Everyone is unique and that is the premise that High Performance Fitness, Inc., in creating 1st Step Pro-Wellness. The company has been committed to improving the health and wellness of individuals worldwide. Touting a nutritional and fitness supplement line, they aim to keep their customers stay fit and energetic for the rest of their lives. The company started in 2001 and has been producing high-quality, safe and effective athletic supplements. Their product, 1st Step For Energy® still remains to be the number one choice of colleges, university sports teams and even pro sports teams and professional athletes across USA. In recent years, a new trend rose as more and more women are looking for a special brand of nutritional supplements that caters their specific needs. Females looking for a specialized supplement line that still maintains a high-quality, natural yet great testing products that really works. The company in collaboration with the leaders in the nutrition industry and has worked to design the 1st Step Pro-Wellness ™. It's not a surprise that it has attracted well known figures in health and fitness. Katie Cates, PricePlow's first admired athlete is one such popular athlete that uses the products of 1st Step Pro-Wellness. Her favorites are 1st Step Pro-Wellness Multi-Vit and Glucosamine which work remarkably well for women. The product line is created to provide women smart nutrition, stronger bones, muscles and energy, body fluids while maintaining a healthy weight. For women on the go get limitless energy with the vitamin B12 complex specially formulated to release the energy in the body. Make those joints last longer with certified ingredients for healthier joints. 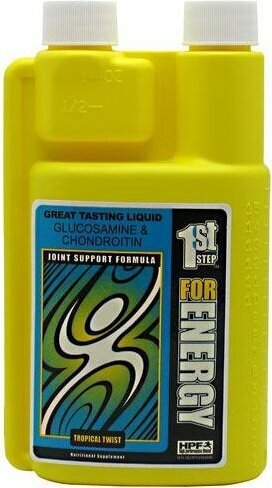 You have a combination of Glucosamine, Chondroitin & MSM. A multi-vitamin and mineral supplement that answers to the needs of women. Another supplement that goes hand in hand with several supplements such as Healthy Joints and Healthy Muscles. For women who want to stay within their healthy range of weight. Composed of several supplements that cleanses, burns fat and helps stave hunger. A special category of protein powders. You can have pure protein mixed with vitamins or flax seed oil. Get your daily dose of heart healthy omega-3 fish oil with vitamin D.
Be hydrated with 100% Pure Coconut water. It contains more nutrients than your standard sports drinks. In making 1st Step Pro-wellness, innovation is the key and every product is backed with numerous scientific studies to prove their efficacy. Not only that, each product has passed through different experts in the field of nutrition such as certified nutritionists, dietitians and various coaches that excelled in the field of strength and conditioning. Furthermore, 1st Step Pro-Wellness supplement line is created with special methods that adhere to complete quality assurance and quality control system and processes. You are assured that each product adheres to cGMP (Certified Good Manufacturing Practices) as well as USP 29 standards. The company is also registered in numerous states under respective Departments of Health for Food Supplements as well gaining recognition from FDA for dietary supplements. Finally, the manufacturing sites the company has complied with the requirements of Shuster Labs and are GMP and NSF Certified.